A quick introduction to using RefWorks including importing from various databases. Note: You will need the Group Code for GWUMC to access RefMobile. What is RefWorks? RefWorks is an online research management, writing and collaboration tool. It is designed to help researchers easily gather, manage, store and share all types of information, as well as generate citations and bibliographies. Why should you use RefWorks? Allows you to create & organize your own personal database of references. Import your references directly from databases, journals or the library catalog and avoid emailing or the need to save to a USB flashdrive. Makes collaboration easier during group projects allowing you to share your RefWorks folder of references. Select "Sign up for an Individual Account" and complete the new user information form. 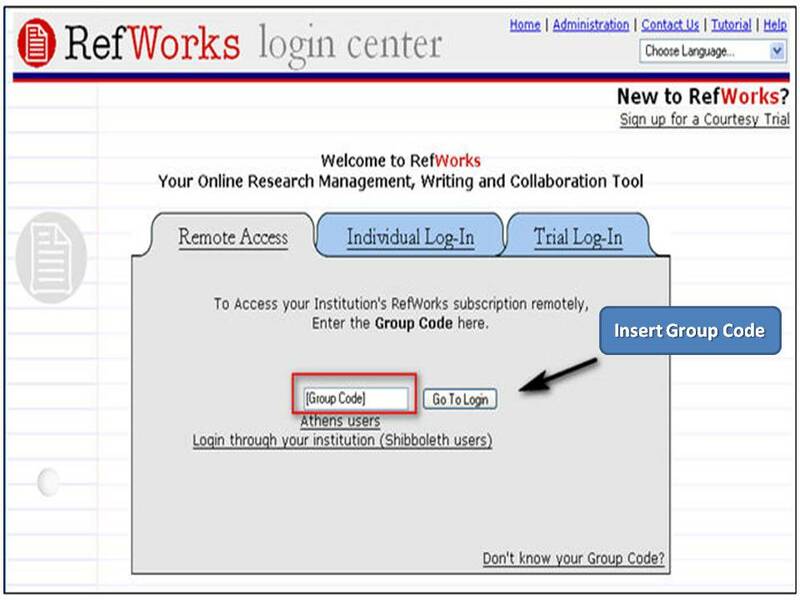 Note: You will need the Group Code for Himmelfarb to access RefWorks off-campus.